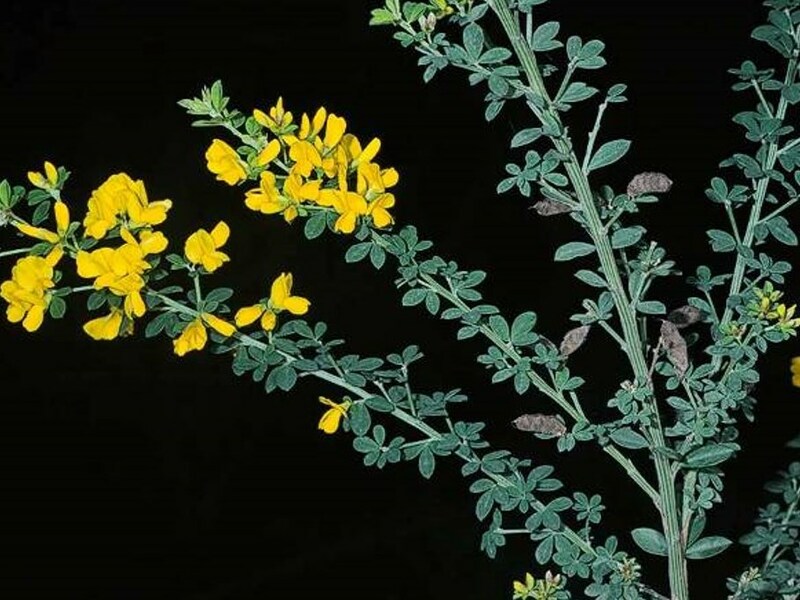 Genista monspessulana (French broom) is a perennial shrub (family Fabaceae) found in the Coast Ranges, Sierra Nevada foothills, Transverse Ranges, Channel Islands and San Francisco Bay area. French broom was introduced as a landscape ornamental, along with Scotch and Spanish broom. French broom is an aggressive invader, forming dense stands that exclude native plants and wildlife. Broom is unpalatable to most livestock except goats, so it decreases rangeland value while increasing fire hazards. These leguminous plants produce copious amounts of seed, and may resprout from the root crown if cut or grazed.